The band were on superb form. Wakeman’s keyboard sorcery wove its spell alongside Rabin’s masterly guitar skills and founding member Jon Anderson’s unique vocal and lyrical prowess to create a special night of musical alchemy for their fans. This glorious show captures the true, enduring nature of this ever-powerful band. This stunning show is available on Blu-ray, DVD, 2CD or a limited edition triple LP, pressed on 180-gram orange vinyl! 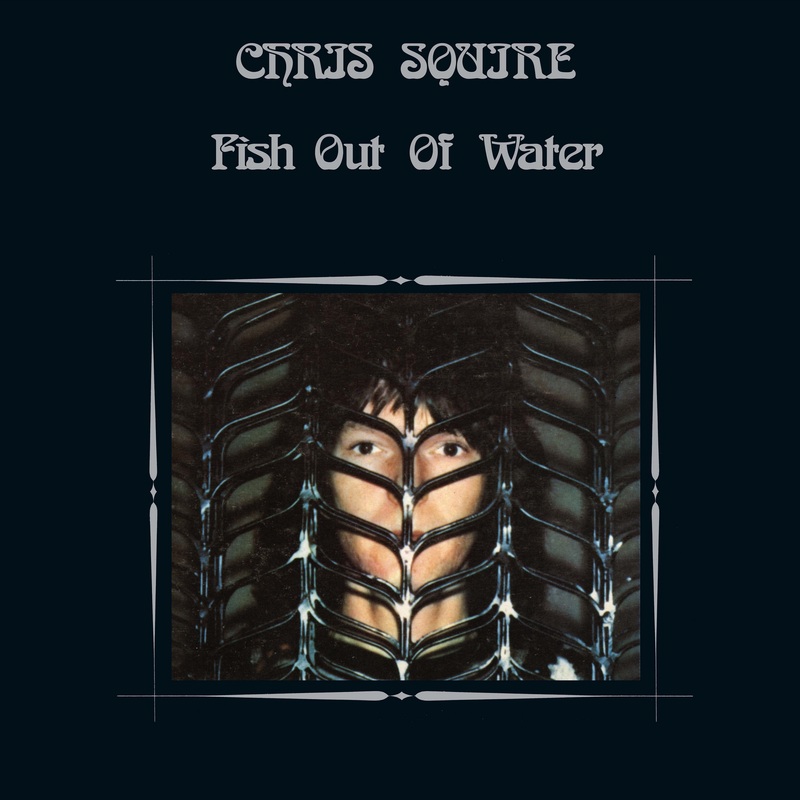 Esoteric Recordings and Cherry Red Records are proud to announce the release of an official limited edition deluxe boxed set of Yes founder Chris Squire’s legendary 1975 solo album “FISH OUT OF WATER” on 27th April 2018. Recorded in the late Spring and Summer of 1975 whilst Yes was on hiatus as members recorded their respective solo albums, Fish Out Of Water was a breath-taking work, and equal in standard to any Yes album in terms of sheer invention and creativity. The album sessions were a collaboration between Chris Squire and his friend Andrew Pryce Jackman, a gifted arranger who had been a member of The Syn, Squire’s pre-Yes group. The sessions saw contributions from former Yes drummer Bill Bruford, Yes keyboard player Patrick Moraz and noted King Crimson musician Mel Collins and Jimmy Hastings. Released in November 1975, Fish Out Of Water was a Top 30 chart hit in the UK and made the US Billboard Top 75 album chart, going on to sell nearly 500,000 copies worldwide. 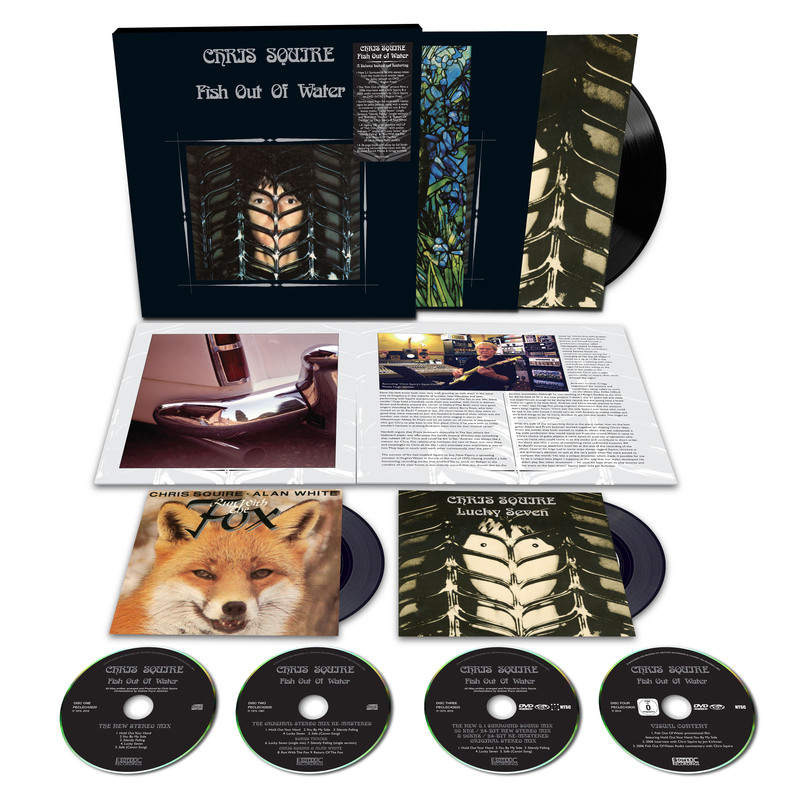 The boxed set also includes a replica 180 gram gatefold LP with poster of Fish Out Of Water (mastered and cut from the original tapes at Abbey Road studios), along with two seven inch singles of ‘Lucky Seven’ b/w ‘Silently Falling’ and ‘Run With the Fox’ b/w ‘Return of the Fox’, both in picture sleeves. To complete the content is a visual DVD (NTSC / Region Free) featuring the 1975 Fish Out Of Water promotional film featuring the songs Hold Out Your Hand and ‘You By My Side’, along with a 2006 interview with Chris Squire conducted by Jon Kirkman and a 2006 audio commentary by Chris Squire. Finally, the set also contains a 36-page book with an essay by Sid Smith featuring exclusive interviews with Bill Bruford, Patrick Moraz, Gregg Jackman and Jakko Jakszyk. Always justly proud of his first solo album, it was Chris Squire’s long held wish that a 5.1 Surround mix would be undertaken of the work someday. This Esoteric Recordings edition finally brings this to fruition and is a fitting tribute to the artistry of Chris and his collaborator on the recordings, Andrew Pryce Jackman. Alongside this deluxe edition, there will also be a new 2 CD edition of Fish Out Of Water which features the new Stereo mix, the new re-mastered original stereo mix and four bonus tracks. TOPOGRAPHIC DRAMA – LIVE ACROSS AMERICA highlights the best performances from the 2017 leg of the 28-show tour and mirrors the set list from those concerts. Each night, Yes opened with all six songs from Drama (1980), the band’s tenth studio album. 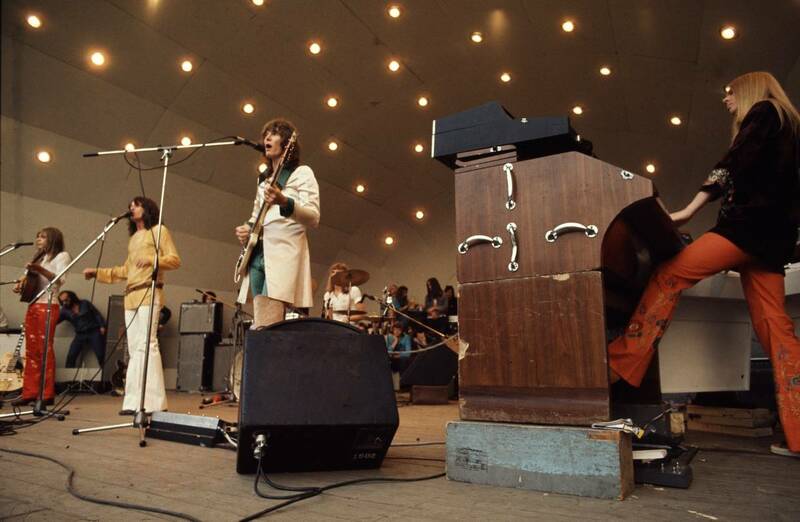 Standouts include “Machine Messiah,” “Tempus Fugit” and the album’s only single “Into The Lens.” After Drama, the band shifted gears for songs from two of its best-selling albums: “And You And I” from 1972’s Close To The Edge and “Heart Of The Sunrise” from 1971’s Fragile . 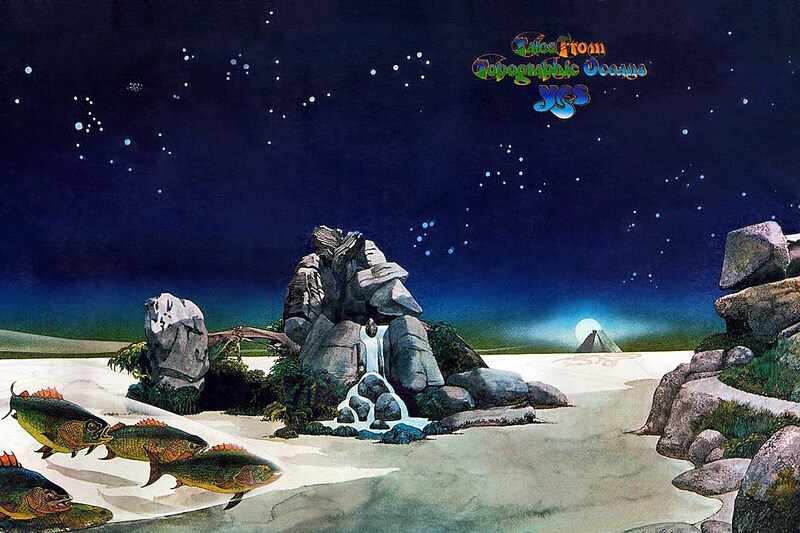 Next, the group played the opening and closing tracks of its concept album, Tales From Topographic Oceans (1973). Howe’s exceptional guitar work on “The Revealing Science Of God” and White’s propulsive drumming on “Ritual” have always been regarded as ground-breaking. The album concludes with two live staples: “Roundabout” from Fragile (1971) and “Starship Trooper” from The Yes Album (1971). Among the world’s most influential, ground-breaking, and respected progressive rock bands, Yes was founded in 1968. Includes 2016 live versions of Machine Messiah, White Car, Does It Really Happen?, Into The Lens, Run Through The Light, Tempus Fugit, And You And I, Heart Of The Sunrise, The Revealing Science Of God, Leaves Of Green, Ritual, Roundabout, Starship Trooper. 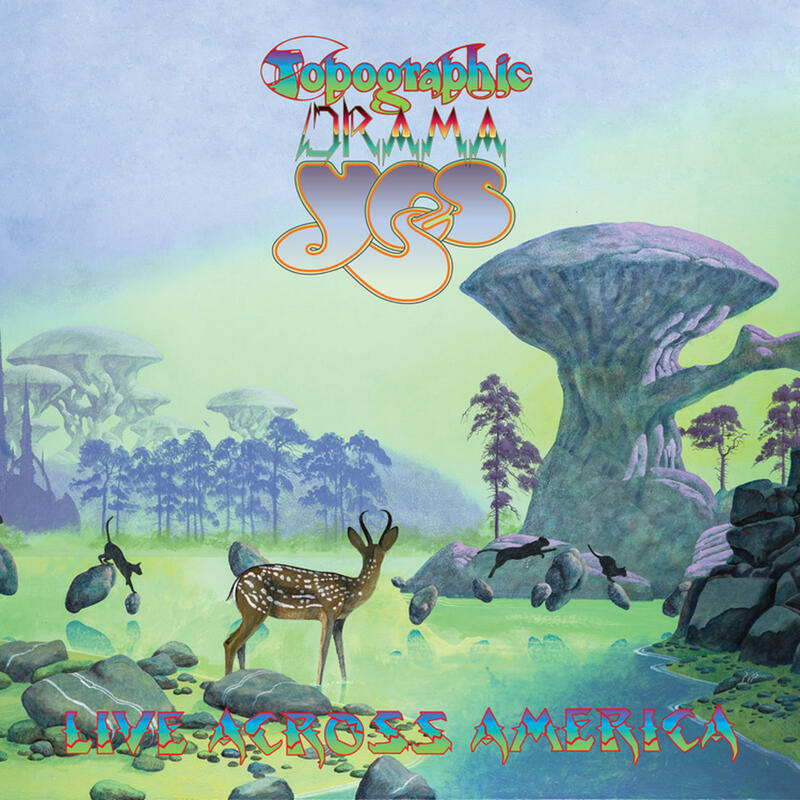 Early last year, prog legends Yes toured the America’s and performed their 1980 album Drama in its entirety, together with sides one and four of their 1973 classic Tales from Topographic Oceans. A new live album, Topographic Drama: Live Across America, features recordings from this tour. This live release – which also includes some fan favourites like Roundabout and Starship Trooper – has audio taken from 12 dates recorded in February 2017, by the current Yes line-up: Steve Howe (guitars), Alan White (drums), Geoff Downes (keyboards), Billy Sherwood (bass), Jon Davison (vocals), and additional drummer for this tour Jay Schellen. This set will be available on double CD and as a 3LP vinyl package, with cover and design by – you guessed it – Roger Dean. Topographic Drama: Live Across America will be issued by Rhino on 24th November 2017. “Close to the Edge” is the fifth studio album by progressive rock band Yes, released on 13th September 1972 by Atlantic Records . Following a tour in support of their previous album, “Fragile” Yes returned to the studios in London to record their next album. Produced by the band and audio engineer Eddy Offord , the album consists of three tracks: “Cloase to The Edge” on side one; “And You And I” and “Siberian Khatru” on side two. When recording for the album finished, drummer Bill Bruford who was frustrated by the band’s style and laborious recording in the studio, left to join Robert Fripp’s King Crimson . His replacement was Alan White of the Plastic Ono Band and part of Terry Reid’s group. Close to the Edge became the band’s greatest commercial success at the time of its release, reaching number a chart position of 3 in the United States and number 4 on the UK Albums Charts . The combination of Anderson’s psychedelic, wide-eyed lyrics and anthemic vocal melodies fit perfectly with some of the fiercest, most intricately layered instrumental passages in the history of rock music. Those passages came courtesy of Bruford’s jazz-fusion finesse, Wakeman’s classical-tinged elegance, Howe’s spidery eclecticism, and Squire’s surging, muscular thud. Another reason this album remains a touchstone is that it never lapses into the noodling or show-offy antics that plagued so many prog-rock albums during the genre’s peak. Instead, Close to the Edge (particularly the four-part, 18-minute title suite) is incredibly nuanced, composed with such masterful flow and economy that every solo or lyric or riff feels connected in a cosmic, over-arching fashion. Even at its most complex (the deceptively tricky “Total Mass Retain” section), the simplest ideas shine through. Howe’s sublime guitar theme (which runs throughout the entirety of the title-track) is one of the most elegant in the prog cannon. But while “Close to the Edge” may be the album’s inevitable stand-out, two other excellent tracks round out the disc:. “And You And I” is a mini-epic, utilizing Howe’s most melodic and emotional 12-string work and a spine-chilling Anderson lead vocal, while “Siberian Khatru” closes the festivities with an instrumental workout that blends funky full-band riffing with jazz-fusion-styled interplay, pitting Wakeman’s bubbling organ against Howe’s soaring leads (co-arranged by Bruford, in a classic example of the band writing for each other’s instruments). “We were on top of the world when we made “Close To The Edge” says singer-songwriter Jon Anderson, recalling the early months of 1972 when he and his Yes band mates (guitarist Steve Howe, bassist Chris Squire, keyboardist Rick Wakeman and drummer Bill Bruford) holed up inside London’s Advision Studios to record the follow-up to their breakout hit, Fragile, which was released a year earlier. Comprised of just three songs – the title track along with And You And I, both four-movement epics, plus the relatively short (at eight minutes, 55 seconds) Siberian Khatru – Close To The Edge was the result of the progressive rock band’s musical impulses running on full, a broad canvas of dizzying instrumental exchanges supporting Anderson’s sublime, mystical poetic vistas. Anderson looks back at the writing and recording of Close To The Edge, offering his insights into the record track-by-track (and, more specifically, movement-by-movement). “It was the beginning of my musical journey in terms of really understanding structure,” he says. “The idea of the chant was key to the song. [Sings] ‘A seasoned witch could call you from the depths of your disgrace/ And rearrange-da-dada-dada-dada-da-da-daa.’ It’s a rhythmic thing. I worked that out with Steve. “The band started playing, and I said, ‘Guys, maybe you should be doing something more syncopated instead of a straight-on beat.’ So while Bill and Chris worked on a drum and bass thing, I looked at Rick and said, ‘OK, how fast can you play?’ And, of course, he could play very fast. The whole idea was to make it musically entertaining even before we put the voices on. “We’ve laid the foundation of where we’re going to go, and now we’re into the second part. This is about the relaxation of life and being close to the edge of the realization of our universal experiences. That’s what the song is starting to explain. “This part flows. It shows you that you have to let music guide you. It’s best to open up and not force the situation. Everything will come to you. “We have the ‘the I get up, I get down’ part before it goes into a beautiful ocean of energy. You’ve gone through nearly 10 minutes of music that’s very well put-together, but then you want to let go of it. You relax a little bit. “The song came about because Steve was playing these chords one day, and I started singing, ‘Two million people barely satisfy.’ It’s about the incredible imbalance of the human experience on the planet. “When I heard that, I said, ‘Wait. That’s going to be perfect! You start singing that with Chris, and then I’ll sing my part.’ We have an answer-back thing. “The arrangement had gone to where Rick was doing a solo. We’d always tried to give Steve a solo, then Rick a solo… Chris and Bill were working out the drum and bass parts. I said, ‘There’s got to come a time where I can get back in with [sings] The time between the notes relates the color to the scenes.’ Because the band is just cookin’ away, so I knew we needed a crescendo, and that’s where I came back in singing. They rehearsed it a few time, and this phrase then came out of the keyboard-organ solo. “And You And I” was written in maybe five different sections, and then we put them all together. The idea was very straightforward at first. It was going to be a very pretty folk song that I wrote with Steve. Soon we decided that it was to be surrounded by very big themes. “’A man conceived a moment’s answers to the dream/ staying the flowers daily, sensing all the themes’ – I love singing this song on tour. In fact, I still sing it. “When we were writing in those days, it was ‘Here’s the verse, here’s the verse, we’ve gotta get from the verse to the bridge.’ We had to make the bridge very, very different. ‘And you and I climb over the sea to the valley, and you and I reached out for reasons to call’ – and then we’re going to hold that note, and the theme is going to come back in. “It goes to a totally different song and feel. Steve is a magical guitar player, and he could switch to a new style so easily. I said to him, ‘It’s got to be have a real country feel to it.’ He knew just what to do, and then Chris, one of the greatest melodic bassists ever, came in, and right there the song sat together so sweet. “Nearly all of the music we ever made had one thought behind it: what will it sound like on stage? We liked to make records, but our main reason for doing what we did was to perform live, surrounded by a sound system and under the lights. “I remember when we did And You And I at the Spectrum in Philadelphia for the first time. The whole room was so alive with the music we were making – it was really overwhelming – and when we were finished, the audience cheered and clapped for 15 minutes. I’m not kidding. “I was playing this on acoustic guitar the other day. ‘Khatru’ means ‘as you wish’ in Yemeni. When we were working on it, I kept singing the word over and over again, even though I had no idea what it meant. I asked somebody to look it up for me, and when they told me the meaning, it worked for the song. “I had already written most of it, but I needed help with some of the sections. I started playing it on guitar for the band, and then I realized that it needed a strong riff. Steve really helped out with some of the parts and, of course, the riff. The song could work with the riff and the vocals alone. [Sings] “’Even Siberia goes through the motions… ‘” The idea is that Siberia is so far away. The Iron Curtain still existed, and Siberia was like this no man’s land. Russia is such a huge country, and the thought was that life still happens there as it does here. “The verses have a different rhythmic feel. We had a lots influences and elements going on. Before Yes, I was in a band in the ‘60s, and we did all the R&B songs that were on the charts. I loved singing those songs, but I didn’t want to write about the same things subject-wise. ‘My babe don’t love me no more, what am I gonna do?’ – why should I compete with people who were writing those songs so damn well? “Steve’s guitar playing is brilliant. I’ve always been amazed at his incredible talent. Even on the last tour I did with him, I’d come off stage and say to him, ‘How do you do that?’ But the great thing about his playing here is that he’s always aware of the structure. He’s not just playing to play. It was reissued in 1994, 2003, and 2013, the latter included unreleased tracks and a new stereo and 5.1 Surround sound mix on the reissues remastered by Steven Wilson . Critical reception was mixed on release, though the album is retrospectively regarded as one of the band’s best works, and a landmark recording in progressive rock. It doesn’t get more prog than this: Three songs, none less than nine minutes. Plus, two of those tracks are split into four movements each. Pretentious? Oh yeah. But when the songs are this good – “Close to the Edge,” “And You and I” and “Siberian Khatru,” . With classical and psychedelic influences, progressive rock boomed in the early 1970s with the rise of FM radio and affordable stereo systems. One of the era’s most popular prog rock bands was Yes, thanks largely to the album “Fragile,” It was the group’s fourth studio album, released in 1971. “Roundabout,” the album’s sole released single, co-writer and Yes guitarist Steve Howe along with co-writer and lead singer Jon Anderson and keyboardist Rick Wakeman recalled the hit’s evolution. Today, Howe continues to record and tour with Yes, while Anderson and Wakemen, who recently released “Piano Portraits” (Universal), are members of the band Anderson, Rabin and Wakeman. Jon Anderson said, I began writing the lyrics to “Roundabout” while traveling with the band in a van through Scotland in late March 1971. The song written by Anderson and Howe that has become one of Yes’s best-known songs. Howe recalled the track was originally “a guitar instrumental suite … I sort of write a song without a song. All the ingredients are there—all that’s missing is the song. ‘Roundabout’ was a bit like that; there was a structure, a melody and a few lines.”Yes was on tour then, and we had just performed in Aviemore the night before. In the van, we were heading south to Glasgow, about a 3½-hour drive. There were mountains and lakes everywhere. I had smoked a joint, so everything was vivid and mystical. As we drove along, we encountered a fair number of “roundabouts,” what you in the States call traffic circles. At one point, the road dropped into a deep valley and ran next to a large lake. Low clouds covered the mountain peaks. Steve Howe follows: In Glasgow, we checked into our hotel, and Jon and I got together in my room with a cassette recorder. Eventually we had this minor feel for the verse that resolved in a major key for the chorus. But the song’s biggest advance came that August in a London rehearsal studio, when keyboardist Rick Wakeman who had replaced Tony Kaye in the band. Rick was more interested in the technology direction we wanted to take. 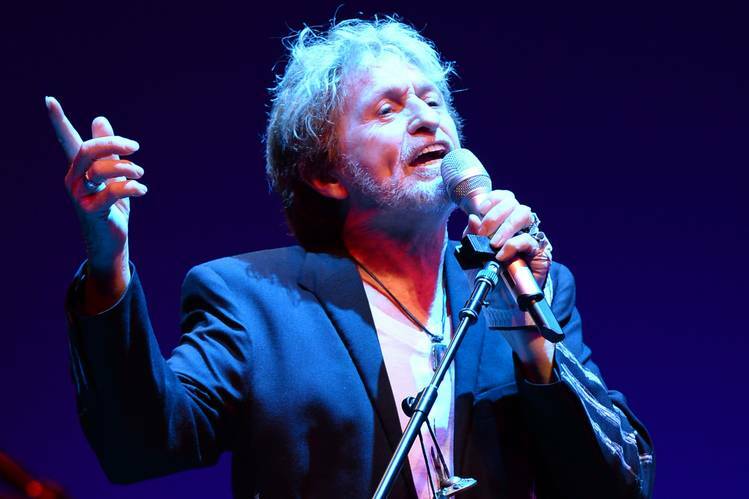 Jon Anderson: said Rick revolutionized our sound. He added multiple keyboards, which gave us more textured possibilities. At the rehearsal studio, I sat on a chair in the middle of the band and listened to what they were developing. If what they were working on wasn’t happening, I’d make suggestions. “Roundabout” wasn’t difficult to sing. But as the band’s vocalist, I needed to know where the song was going. They often looked to me to figure out what should come next so the vocal and instrumental worked together. In September, when we went into Advision Studios in London to record “Roundabout,” we used their 16-track tape machine, which let us layer the instruments. The song became pure magic. Anderson goes on: The rhythm track was recorded first, in segments. The band would rehearse one segment at a time and then record it. Then they’d move on to the next segment, always mindful of the song’s progression and structure. Steve planned to open the song by playing something of a Scottish jig on his acoustic guitar. He had played it for me earlier at our hotel. Steve Howe continues: My opening acoustic guitar part was played on my 1953 Martin 00-18. But we felt the song needed something more dramatic to start. We found it with a backward piano note. When you strike a single piano note and hold it down, the sound starts loud and then fades away. We wanted this to happen in reverse. We recorded Rick holding down a piano note, and then we turned the tape reel over and started the song where the note was faintest. What you hear on the record is a note going from faint to loud, as if it’s rushing toward you. Rick Wakeman: For the piano-note intro, I simultaneously played the lowest E on the studio’s grand piano and the E an octave higher. The octave gave the note a fatter feel. Chris Squire wanted a funky sound on the bass, sort of a Sly and the Family Stone feel. I played organ arpeggios over the top with my right hand as my left hand played Chris’s bass notes to add weight. Howe: When we finished the rhythm track, Chris overdubbed his bass track using my Gibson ES-150 electric guitar, which had a Charlie Christian pickup. It wasn’t terribly loud, but it was effective, giving him an eight-string bass sound. On the organ, Rick was adventuresome, allowing the rest of us to see a wider sonic path and plenty of room for experimentation. Except for my acoustic Martin at the start, during the ballad passage in the middle and at the close, I used a 1961 blonde electric Gibson ES-5 Switchmaster throughout. Rick Wakeman: On most of “Roundabout,” I played a Hammond C3 organ. Later, I overdubbed a Minimoog when the song slows to a ballad about five minutes in and Steve plays acoustic guitar. I also added a Mellotron for flute sounds when Jon slowly sings, “In and around the lake.” The Mellotron gave the passage a “Strawberry Fields” mood. Anderson: Once the instrumental track was done, I went into the studio early one day with just the engineer and recorded my lead vocal while listening to the music through headphones. When the other guys came in, we recorded the harmonies. Finally, we reached a point where the song had to end. I thought, let’s do something totally different and sing harmony, like the Byrds or the Beach Boys. I started singing “Dah dah-dah-dah, dah, dah, dahhh.” Then we all started singing that in harmony. We added it onto the end of the song. If you listen carefully, you can hear Rick singing three notes against the grain of what we were doing. They’re the notes to “Three Blind Mice,” and it sounded intriguing. Steve Howe: To close the song, I decided to mimic what I had done on my Martin guitar at the beginning. But I ended on an A-flat chord, which the ear doesn’t really expect. “Yes” is the original debut album from Yes not to be confused with “The Yes Album,” which was their third album but the first one with which most people would be familiar. 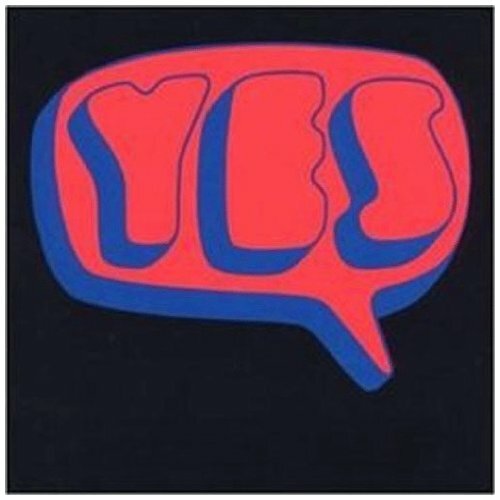 “Yes” is not as strong an album, but it is a lot better than you would expect given the level of performance excellent you expect from the group down the road, especially since at this point you have Peter Banks on guitar and Tony Kaye doing the assorted keyboard work. Most of the songs are written by vocalist Jon Anderson and bass player Chris Squire, along with covers of songs by Lennon & McCartney (“Every Little Thing”) and Crosby & McQuinn (“I See You”). It is rather strange to think of the Beatle and the Byrds being major influences on Yes, but there you go. This is an album for lifelong fans of the group to check out, now that it has been reissued. Knowing where the Yes sound ends up, you can hear it in embryonic form, most notably on “Harold Land,” which most anticipates the multi-part suites that would consume an entire record side on the group’s best albums. However, when you hear the driving sound of the opening cut, “Beyond and Before,” you will wonder who you are listening to. Banks does some interesting guitar work on both of the cover songs, especially the atypical version of the Beatles song. This 2003 reissue is impressive because the bonus tracks add up to more playing time than the 8 original tracks on the album. The informative liner notes are from Mike Tiano. There early and finished versions of three songs, including “Something’s Coming” from “West Side Story,” which particularly fits Anderson’s distinctive vocal style (you will be reminded of Yes‘ later cover of Simon & Garfunkle’s “America”). The before and after approach with these bonus tracks is quite interesting. There are few opportunities this good to go back and look at what one of your favorite groups was doing when they were first starting out, which makes this expanded reissue of “Yes” a real treat. The Brit art-rockers Yes covered The Beatles and The Byrds on their debut and this quiet-loud extemporisation on Stephen Stills’ jazzy Again offering is a highlight of their follow-up, Time And A Word. An expanded edition of “Tales From Topographic Oceans“ will arrive just as Yes complete a tour featuring music from this 1973 epic. Overseen by Steven Wilson, the new update will be available in high-resolution stereo and 5.1 surround in both a three-CD/Blu-ray audio configuration and as a two-CD/two-DVD audio set. They are due on July 29th, Aside from Wilson’s new mix of the original two-disc album, extras include an unedited and extended version of “Dance of the Dawn.” There are also five new single edits meant to provide new insight into the individual sections of the larger musical set pieces that make up. The band’s Album Series tour featuring sides one and tour from the album, as well as the 1980 LP “Drama” in its entirety, has dates scheduled through September. 4th. The tour starts in Columbus, Ohio. USA. The Roger Dean art has also been expanded and restored. Sid Smith wrote new liner notes, and the set includes new interviews with vocalist Jon Anderson, Alan White and Guitarist Steve Howe, along with rare photos, memorabilia and expanded session notes. “Tales From Topographic Oceans” is the fifth in a series of expanded Yes editions including 5.1 Surround mixes, new stereo mixes and High-Resolution stereo mixes of the original music. Additionally, both sets add extra material mixes on CD, while the Blu-Ray edition adds a wealth of extra audio material. Steven Wilson has produced the new mixes with the approval of the band. Both editions feature restored artwork overseen and approved by Roger Dean with an expanded booklet containing new sleeve-notes, photos and archive material making this the definitive edition of the album. He also recently pointed out that multitrack tapes are unavailable for the other key albums in the Yes catalogue, so “unless that situation changes”, this will be the final release in the series. • CDs features a completely new stereo album mix by Steven Wilson, a new mix of Dance of the Dawn and five new single edits (both editions). • Hybrid DVD-As feature 5.1 Surround mixes and High Resolution Stereo mixes of the album mixed from the original multi-track tapes along with the original mix of the album – all at 24/96. • Blu-Ray features all of the above – 5.2 mixes in DTS-HD MA, new mixes at 24/96, original mixes at 24/192 in LPCM Stereo + additional music including new instrumental mixes, new single edits, a complete album of alt takes (including two previously unreleased sides – one studio, one live) and needle-drops of an original UK vinyl pressing and a US banded promo album pressing. • Special packaging for both formats, CD/DVD-A set in two double digi-packs in slipcase, CD/Blu-Ray in two mini vinyl replica gatefold card sleeves in slipcase. • Additional CD in Blu-Ray edition allows for the inclusion of the complete alternate album takes on CD. Yes are an English rock band who achieved success with their progressive, art, and symphonic style of music. They are distinguished by their use of mystical and cosmic lyrics, live stage sets and lengthy compositions, often with complex instrumental and vocal arrangements. The band’s current line-up since February 2012 consists of singer Jon Davison, guitarist Steve Howe, bass guitarist Chris Squire, keyboardist Geoff Downes, and drummer Alan White.